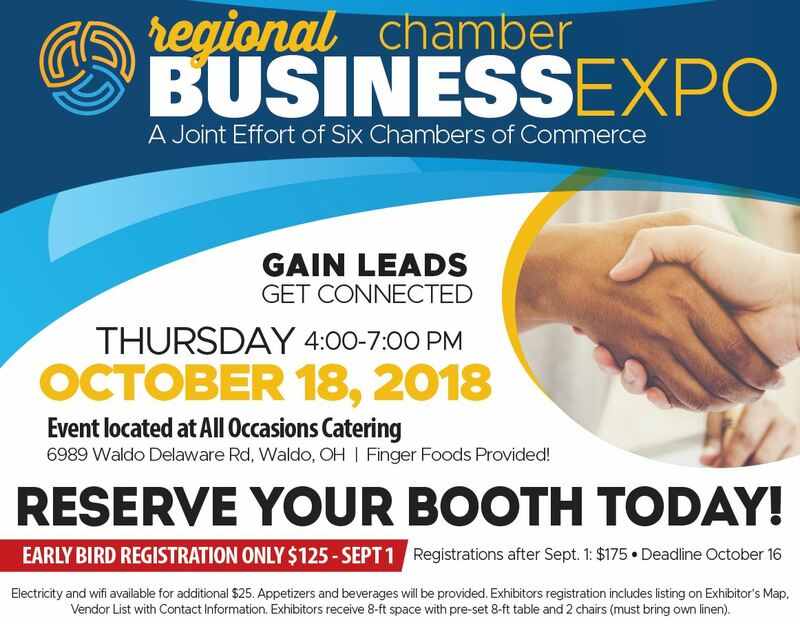 The Bucyrus Area Chamber is once again participating in the Regional Chamber Business Expo on Thursday, October 18 from 4 to 7 pm at All Occasions Catering in Waldo, Ohio. Gain leads and get connected! 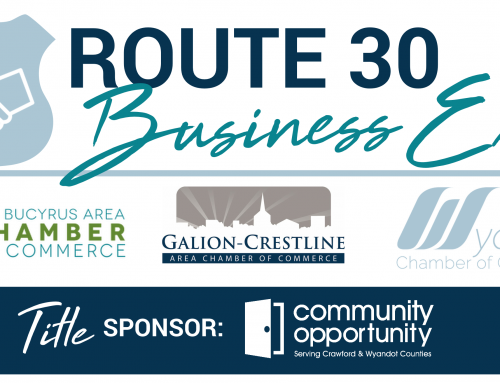 Promote your products and services on a regional basis and network and mingle with community business leaders. Reserve your booth today. 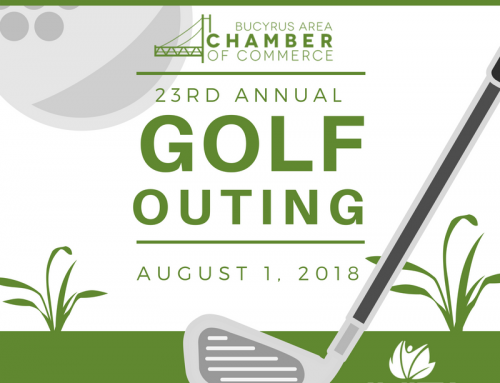 Early bird registration is $125 through September 1; $175 after September 1. Deadline for registration is October 16. Electricity and wifi are available for an additional $25. 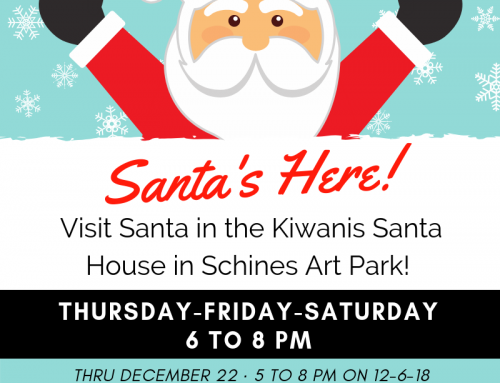 Appetizers and beverages will be provided. 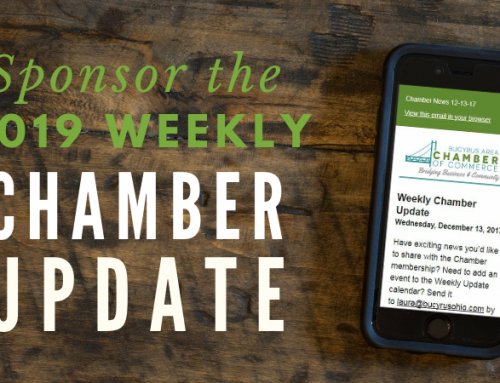 Sponsor the Weekly Chamber Update! 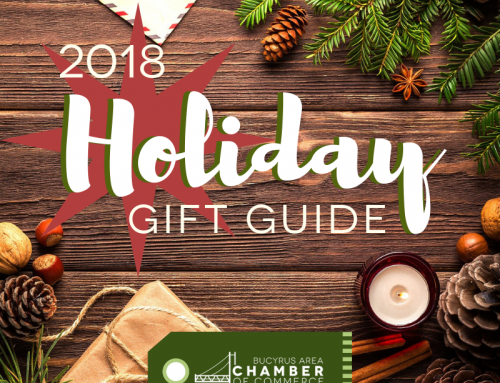 2018 Holiday Gift Guide is Here!